Sample the Beers, scratch off the map. An inspired fun gift! Fun and interactive maps for kids. 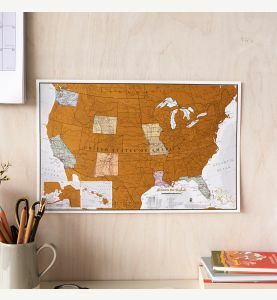 Whether you are looking for a world map for kids, a United States map for kids or a map of Europe for kids, our host of interesting and fun maps in this category are sure to keep young minds occupied. Most popular among youngsters are our glow-in-the-dark world map and star constellation map for kids, as well as the illustrative cartoon map and the motion world map, all featured on this page. Maps come in a variety of finishes, from our paper and laminated kids’ maps to mounted and framed world maps for kids. ©2018 Maps International - All rights reserved.